Located in Brent, the most diverse borough in London, the Tricycle Theatre is a local venue with an international vision. Originally converted from a music and dance hall, the Tricycle opened in 1980 as the permanent home of the Wakefield Tricycle Company – a touring theatre company which presented new plays and children’s theatre throughout Britain and internationally. 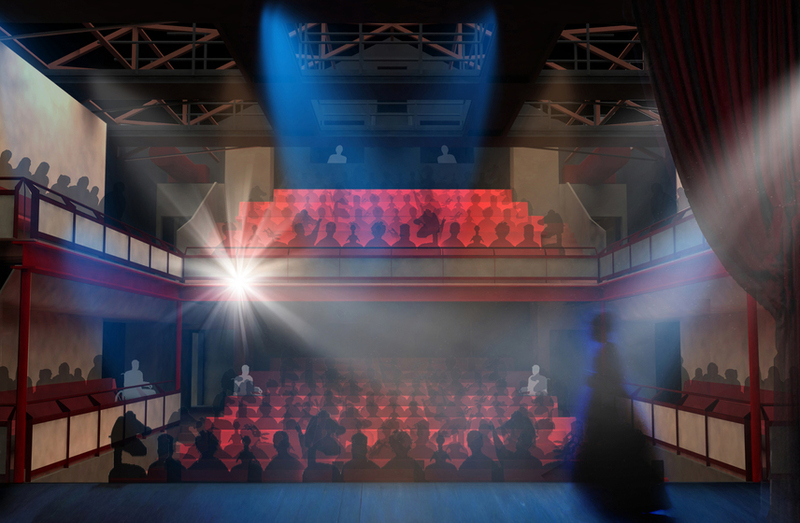 In 2015, the theatre won Arts Council funding for a refurbishment with the goal of increasing capacity, providing full access and accommodation for disabled theatre goers, improving audience comfort within the auditorium while enhancing the theatre’s sustainable credentials. Working as an integral member of the design team, Atelier Ten joined a series of workshops to gain a full understanding of the theatre’s needs and to help develop fully integrated designs that exceed aspirations and expectations. Working within a confined site that offers limited opportunity for extension, the refurbished auditorium will offer seating capacity for 291 including 6 permanent wheelchair places. The principal objective for all services was to enhance the architectural design of the building while incorporating the requirements for minimal energy consumption within the working environment. As such, the Theatre has a number of environmental systems that ensure the building has a low energy demand. The main auditorium is served by a high-energy efficient air handling unit which provides ventilation, heating and cooling by adiabatic process. Displacement ventilation integrated below the seating ensures only the occupied space is conditioned maintaining the audience comfort in an efficient manner. The introduction of new roof lights and refurbishment of existing roof lights to the entrance and foyer areas ensures a good level of daylighting can be brought into these areas. This supports the provision of low-energy, highly efficient luminaires combined with presence and daylight sensors which in turn delivers a significant reduction in energy consumption.